Boat Noodle in the streets of Bangkok is now in KL!!! 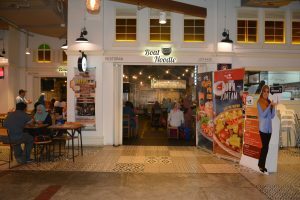 Boat Noodle Brings Thai Street Food to You! Kuey Teow Ruer, which is commonly known as Boat Noodle is a delicate dish which originates from the floating markets of Ayutthaya. This inspired dish is aromatic and delicious making it an instant hit with fans. 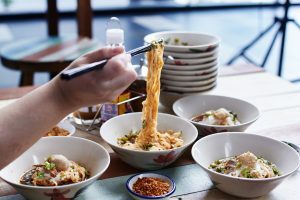 Starting our first outlet in Empire Damansara in March 2014 by only serving noodles, The Original Boat Noodle has grown in leaps and bounds as the go to place for Thai food. Our menu has hence grown incorporating more of the local Thai street foods. The décor comes alive as a real hustle of the everyday street food we see in Thailand creating an ambient and lively atmosphere. Boat Noodle has become a place to meet and socialize with friends. Our aim is to continuously bring you authentic Thai street food and share the fun and laughter with friends at The Original Boat Noodle.